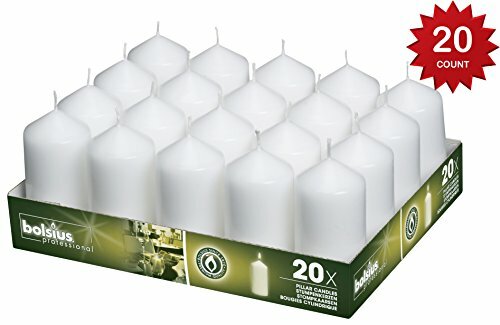 The bolsius tray of 20 pillars is a high quality candle made from a good wick and high quality wax, made by the largest manufacture in Europe, we carry a full line of candles such as taper candles, household candles, tea lights, table candles wedding candles, its a dripless pillar candles, good for many occasions such as party's weddings restaurant candles and more. If you have any questions about this product by Bolsius, contact us by completing and submitting the form below. If you are looking for a specif part number, please include it with your message. UkrEcoGoods Beeswax Candle, 6" Hand Rolled Pillar candles with pure natural wax scent.